Facelifted 2018 Range Rover gets hybrid tech and more luxury! Following on quickly from the reveal of the updated Range Rover Sport, Land Rover has now pulled the wraps off its revised full-size 2018 Range Rover. The luxury SUV is can be ordered now with prices from £79,595, which is £2,800 more than the outgoing car. It has a more luxurious cabin, new tech and a plug-in hybridpowertrain for the first time. As part of the model year change, the Range Rover has received some mild exterior revisions. The front grille has been tweaked to bring it into line with the new Velar, while four new LED headlight systems are available. These include an adaptive Pixel-Laser High Beam option that can project light up to 500 metres ahead of the car. At the back, a new bumper integrates the exhausts on every powertrain. There are two new colours and six extra alloy wheel designs, while buyers can choose from two new styling packs: the Black Exterior Pack brings black details on the badging, trim and door handles, while the Shadow Exterior Pack changes that to Shadow Atlas silver. But the biggest changes are reserved for the inside. The 2018 Range Rover adopts JLR’s most advanced infotainment system, first seen in the Velar. Called Touch Pro Duo, it has two high-definition 10-inch touchscreens that control most of the car’s functions, while a 12-inch Interactive Driver Display sits in the instrument panel. A 4G WiFi hotspot for up to eight devices is added, plus new wider and deeper front seats feature up to 24-way electric adjustment and heated armrests. Further tech includes multi-colour ambient lighting, cabin air ionisation, Land Rover’s wrist-mounted ‘activity key’ and even a gesture-controlled sunblind. Two large new storage cubbies also feature. The rear cabin has also been redesigned, with more device connection points, plus wider seats with 25 massage programmes and, on the Rear Executive Class seating option, a backrest that reclines by up to 40 degrees. The previous fixed rear centre console is now electrically deployed, allowing the four-seat set-up to return to a five-seat configuration at the touch of a button. Autobiography LWB models now get heated and cooled seats with heated arm, foot and calf rests. Many of the functions can be controlled via an app, which can also be used to fold the seats electrically. In addition, this can be done using the infotainment system, as found on the new Land Rover Discovery. Plus, 20 per cent thicker glass aims to reduce noise intrusion. Most of the current powertrains are carried over unchanged, with the exception of the SV Autobiography Dynamic’s supercharged V8. That benefits from a 15bhp increase to 557bhp. Deliveries of the 2018 Range Rover are set to commence towards the start of 2018. As with the Range Rover Sport, the 2018 Range Rover now has the option of a plug-in hybrid powertrain, too. Badged P400e, it links a 296bhp 2.0-litre four-cylinder petrol engine to an 85kW electric motor to deliver 398bhp and 640Nm of torque. With permanent four-wheel drive, it promises 0-60mph in 6.4 seconds and a 137mph top speed. 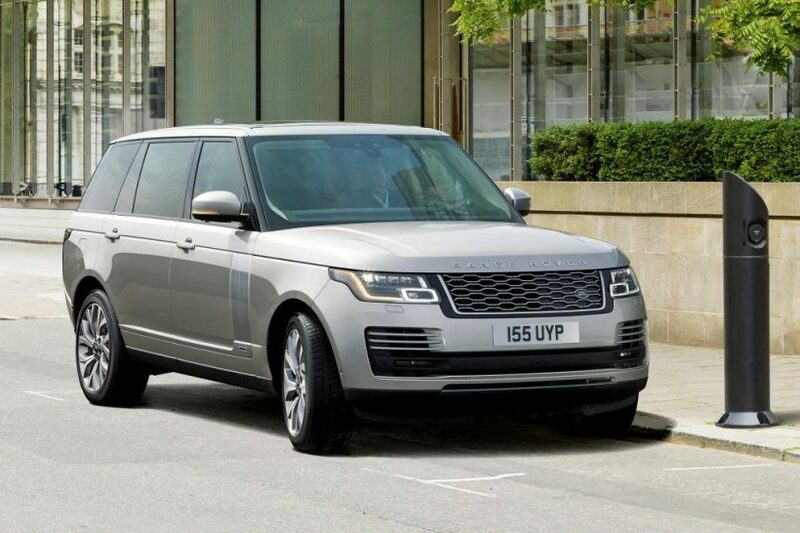 The Range Rover PHEV also features a Predictive Energy Optimisation (PEO) function that activates when you enter a destination, using GPS data to decide where best to employ the electric propulsion. It can travel up to 31 miles on electric power, claims 101mpg and emits 64g/km of CO2. The 13.1kWh lithium-ion battery can be charged in under three hours via a 32-amp wallbox, or seven and a half hours with a home charging cable.